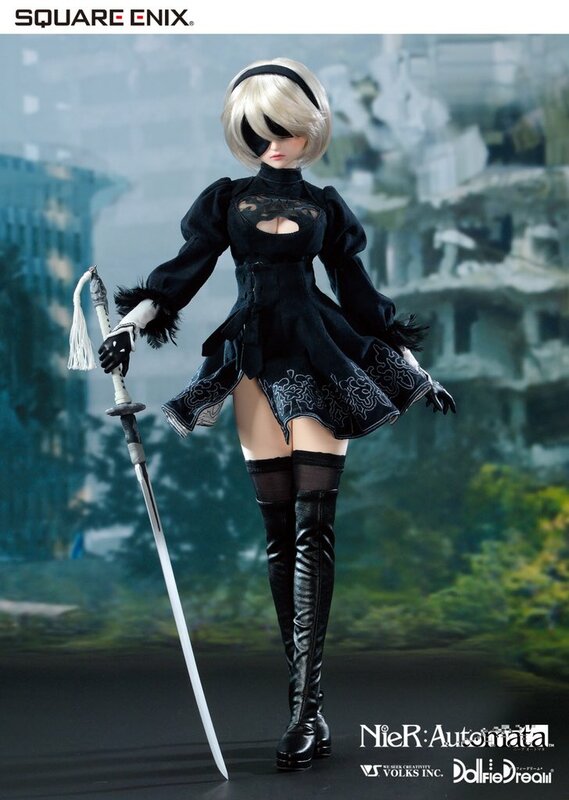 High quality dolls of androids 2B and 9S from NieR: Automata will be available for preorder on October 20, 2018. There two are a part of Volks’ Dollfie Dream line. Volks is known for the company’s collaborations with various anime and game series. Additionally, the large scale of their dolls (up to sixty cm tall) is what allows for the company’s signature attention to detail and impressive mobility. Volks’ Twitter account gave everyone a first look at the ball-jointed NieR: Automata dolls up close. The quality of the hair and flow of the fabric makes these dolls come to life. September 17, 2018: at “NieR Orchestra Concert” (*Tickets have been sold out). *Please note the schedule may subject to change without notice. We’re still waiting on more information regarding what the future holds for 2B and 9S, but until then, this thought provoking hack-and-slack is currently available on the PlayStation 4, Xbox One, and PC.